Need Some Fresh Guitar Strings? Our friends at Elixir® Strings provide some of the best electric guitar strings for that long-lasting tone you've been searching for. Whether it's their OPTIWEB®, NANOWEB®, or POLYWEB® Coatings, they have options for any kind of sound you want to achieve! Players like Morgan have been vocal in asking for greater product selection across all three coating options from Elixir Strings since the launch of OPTIWEB Coated Electric Strings last year. 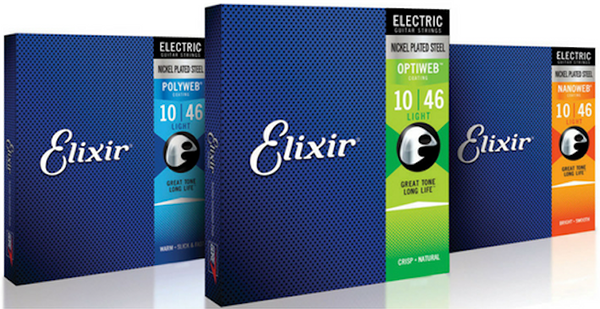 Click here to explore more of Elixir and pick up some quality strings today!